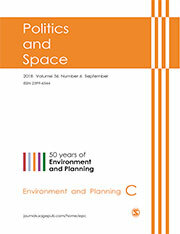 Who makes land use decisions, how are decisions made, and who influences whom, how and why? 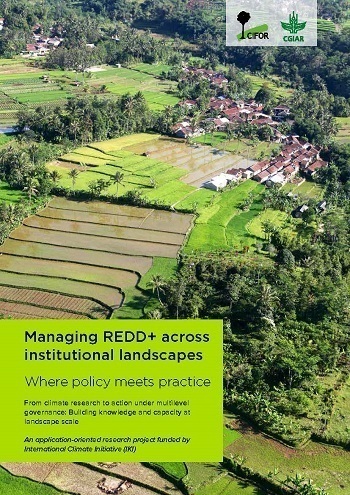 A key challenge to the design and implementation of land use strategies, including REDD+, is the sheer range of actors involved in various policy and cultural arenas. They come from different sectors and operate at multiple levels and time scales: national, regional and local governments, private firms, non-governmental organizations, indigenous communities, smallholders, and many others. 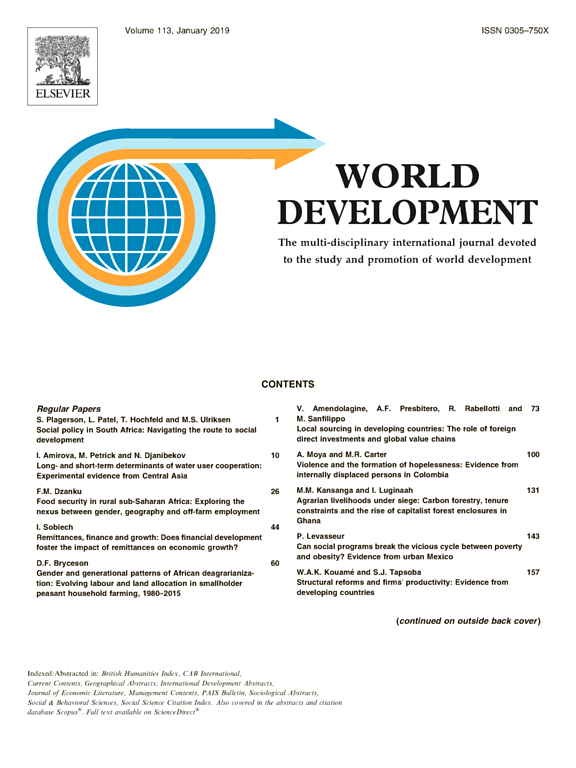 Such actors differ in terms of perspectives, interests, objectives, knowledge, resources and power, all of which influence the manner in which they interact and negotiate, and how governance arrangements play out on the ground. Transparency, inclusiveness and accountability relations affect the legitimacy of decision-making processes and results. 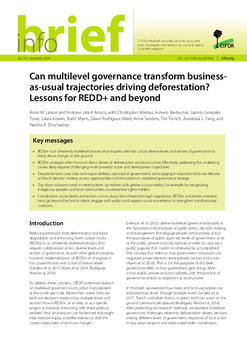 Research from a multilevel, multisectoral perspective can be applied to almost any aspect of land use policy and initiatives such as REDD+. 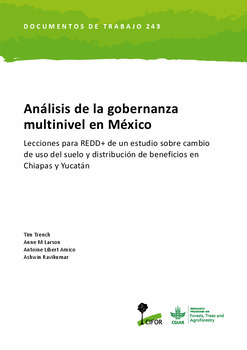 This research has emphasized the multilevel governance of land use decision-making institutions and processes, but has also considered the multilevel politics of MRV, fiscal incentive mechanisms, the effects of global governance regimes, landscape level trade-offs, and more. 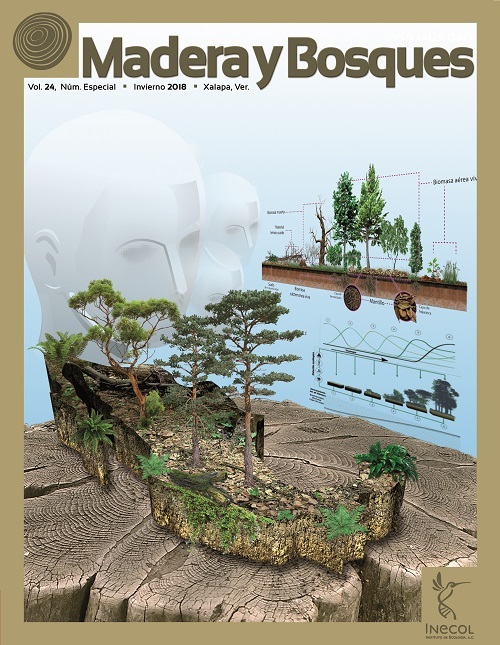 Where relevant, this research can be found under the specific tabs on this web site. 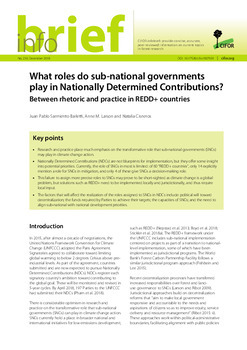 By generating scientific knowledge and participatory tools, and working with multiple actors, this study aims to help in the design and articulation of national and sub-national institutions, and to build understanding of how policies are defined and interpreted in practice. 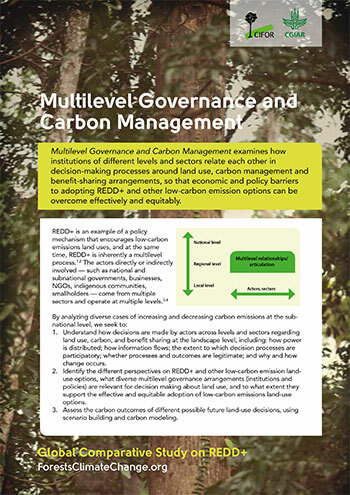 The ultimate goal is to contribute to overcoming economic and policy barriers to adopting low-carbon emission options such as REDD+ effectively, efficiently and equitably.